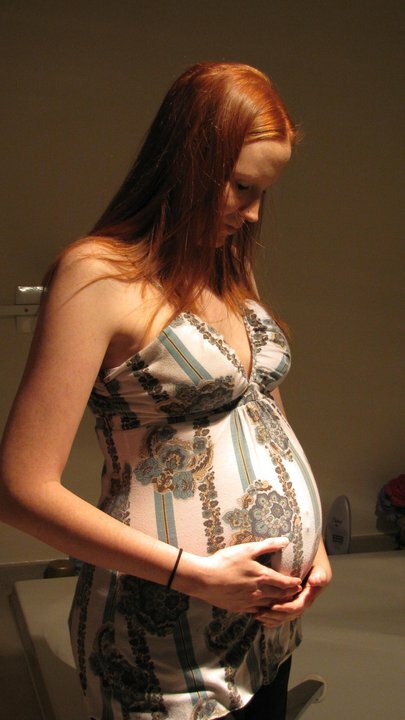 In September, 2009, I attended a very special birth. I am a labor or birth doula and it’s my job to help moms feel safe, cared for and as comfortable as possible before, during and after the birth of their baby. This particular woman had experienced a traumatic birth with her first child, a son, six years prior. He was born with abnormalities that no one was aware he had, and as a result, he was rushed to surgery within hours of his birth. She remembered very little about her labor and his birth as a result of pain medications and an epidural. Her wish was to fully experience her labor and the birth of her baby girl by avoiding pain medications and interventions. She and her husband agreed that he would be at the hospital but because he was feeling traumatized by his son’s birth, he did not wish to be in the room while his wife labored and gave birth to his new daughter. Mom’s water broke in the middle of the night and a few hours later, we arrived at the hospital. Mama was doing a beautiful job of riding the waves of each contraction; she was breathing, rocking and moving as she needed to. She used the tub, birthing ball and rocking chair. After just eight hours of labor, her beautiful baby girl slipped out and was placed on mom’s belly. These parents had previously decided to delay the clamping of the umbilical cord so mom and baby were still joined when the midwife asked me if I would like to hold the cord. You see, the mama was my daughter and for a few moments, the three of us, mother, daughter and granddaughter, were connected in a unique and beautiful way. I was able to feel the blood pulsing from my daughter to her baby and it was the most amazing and spiritual moment I’ve ever experienced. Every birth is a miracle and I’m always humbled and grateful that I’m invited to witness the beginning of a new family. The memory of the birth of my granddaughter continues to inspire me to help my clients achieve the birth they desire.